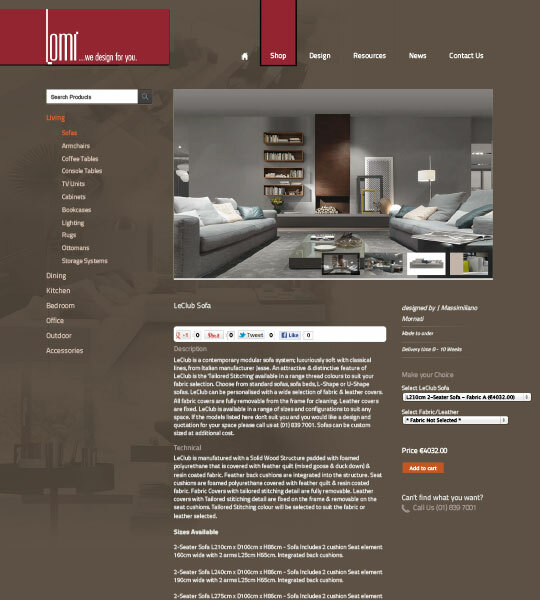 LOMI Design Ltd., a long time client of Enhance, is an Irish design company established in 1998 to supply the highest quality contemporary wardrobes, modern living furniture, contemporary kitchens, plus modern and innovative lighting from Europe’s best contemporary designers and top manufacturers. 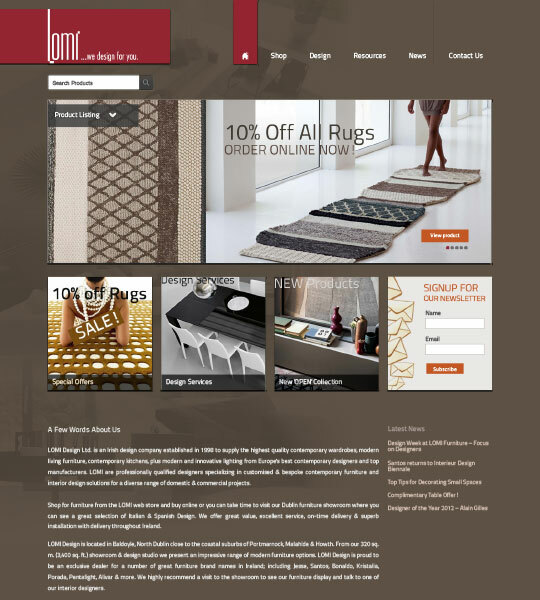 LOMI wanted to represent their brand through their website and have a high-end modern design to reflect the high-end quality products they supply to their clients. Working closely with the client we cycled through many design concepts and iterations until we arrived at the design that was the ideal solution for the client. This website is built on a bespoke CMS with advanced eCommerce facilities. The website is built using standards compliant XHTML & CSS.